News Photos by James Andersen Alpena's Jessica Leeck, left, hits a ball past a pair of Cheboygan defenders during a match on Thursday at Alpena High School. 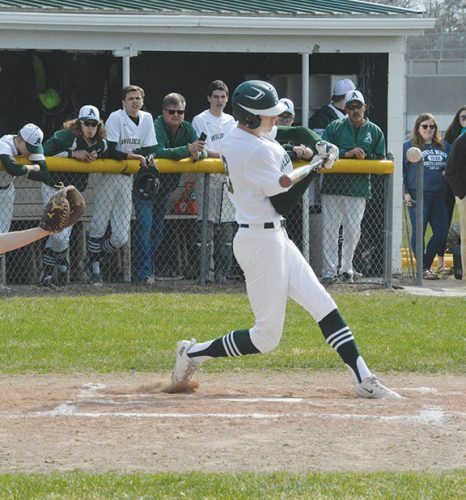 Alpena hosted a tri-meet with the Chiefs and Rogers City. The Alpena volleyball team improved to 5-0 on the season with wins at home against Cheboygan and Rogers City. The Wildcats took two out of three sets from Cheboygan, with scores of 21-25, 25-16 and 15-8. 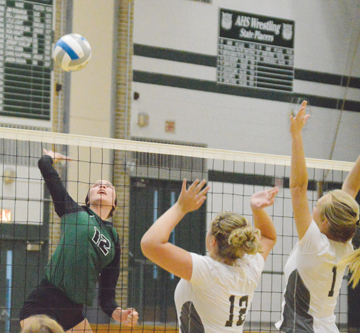 Alpena went on to sweep Rogers City 25-18 and 25-12. Allison Precord fueled the Alpena offense with 31 assists and five digs. Allie DeRocher, Kate Skiba and Adrianna Gumtow led the attackers with 12, 8 and seven kills respectively. Alexis Pilarski played great defense, collecting 28 digs. Jade Gray led from behind the service line with six aces. Rogers City fell to Cheboygan by scores of 18-25, 15-25 and 15-12. 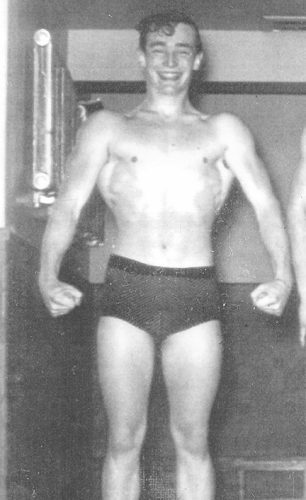 Catheryn Hart recorded 12 kills and four aces. Maddie Hincka added 26 digs and Kyrsten Altman had 22 digs. Kristin Brege dished out 12 assists and Brooke Saile chipped in with six kills. 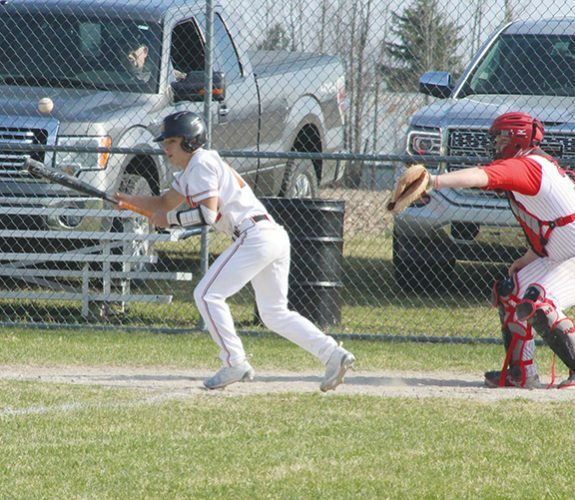 On Saturday, Rogers City opened the season with a tournament in Sault Ste. Marie and advanced to the semifinals before losing to Petoskey. In pool play, the Hurons defeated Houghton (21-15, 21-16), lost to Marquette (15-21, 16-21) and Petoskey (14-21, 22-23) and split with the host Blue Devils (23-22, 18-21). In bracket play, Rogers City defeated Houghton (25-23, 25-15) and lost to Petoskey in the semifinals (20-25, 22-25). Taylor Fleming led Rogers City with 34 kills, 12 blocks and 27 digs; Shawna McDonald had 12 kills, Hart had five aces and 21 digs and Kristin Brege had five aces, 69 assists and 18 digs. CENTRAL LAKE — Week 1 of the high school football season started with a bang in 8-player football as the Onaway football team traveled to Central Lake and defeated the defending state champion Trojans by a final score of 40-28. The Cardinals put up huge numbers on the ground as Dawson Hilliker ran for 182 yards on just nine carries and Gavin Fenstermaker added 75 yards on the ground and intercepted a pass on defense. Declan Clayton and Austin Nash led Onaway with 10 tackles apiece.